How do I attach files to a message? 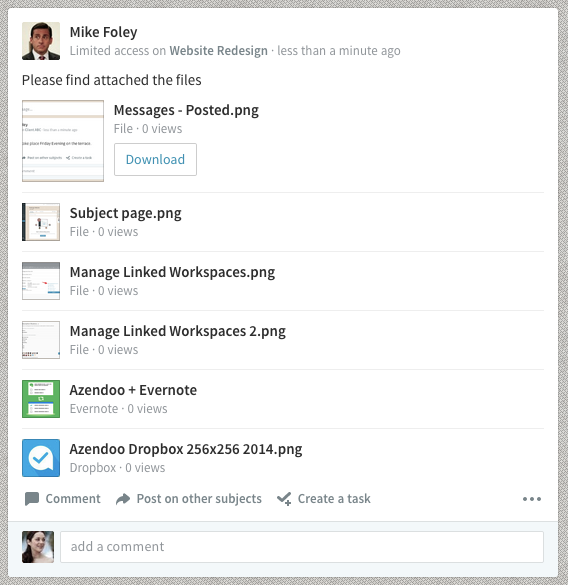 You can attach files to a message or a task, or upload them directly on a subject's > Documents page. Multiple files can be added from multiple sources at once. 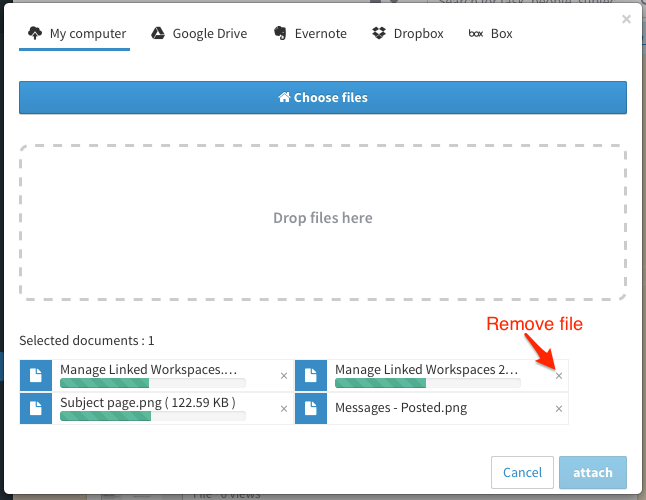 You can also add files by "drag & drop"
As you notice, you can add one or multiple files at once. It's possible to cancel the upload of each file. The progress bar shows the status of the file upload and its size. Once uploaded you still can remove each file, before posting the message by clicking on the x. When ready, share your message. 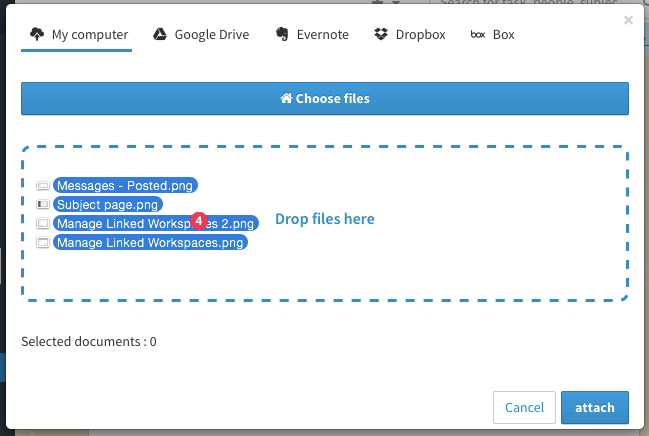 A preview picture of your file will be added when possible. If you encounter any problem while uploading a file, please let us know using the feedback button.